Conservative Austrian Chancellor Sebastian Kurz has claimed that Europeans’ attitude toward mass migration has vastly changed since 2015 with advocates for demographic replacement having gone quiet. Chancellor Kurz made the comments this week on a visit to Switzerland where he met with the President of the Swiss Confederation Alain Berset. According to Kurz, “There are a lot of things that have changed,” and he noted the European Union’s recent drive to secure the Mediterranean border, broadcaster Radio Télévision Suisse reports. “A lot of people who said that (the migration of 2015), it is beneficial for Europe, it is necessary for our demography, do not say it any more,” Kurz added. One of the arguments for mass migration, particularly in the wake of the migrant crisis, was the need for more migrants to counter the declining birthrates in Western European countries. Since the crisis, some countries, like Sweden and Germany, have seen population growth almost solely driven by mass migration. Kurz compared the anti-mass migration FPÖ to the Swiss People’s Party (SVP), which shares policies of anti-Islamisation with the FPÖ, having proposed a ban on the full-face Islamic veil across Switzerland in 2016 — a policy spearheaded in Austria by Mr Kurz and eventually passed into law in 2017. “It is interesting to see that in Switzerland the SVP is the strongest party and it is part of the government. You actually have a more powerful right-wing party than in Austria, and in your country, it’s the biggest party. They’re only the third largest party here,” he said. 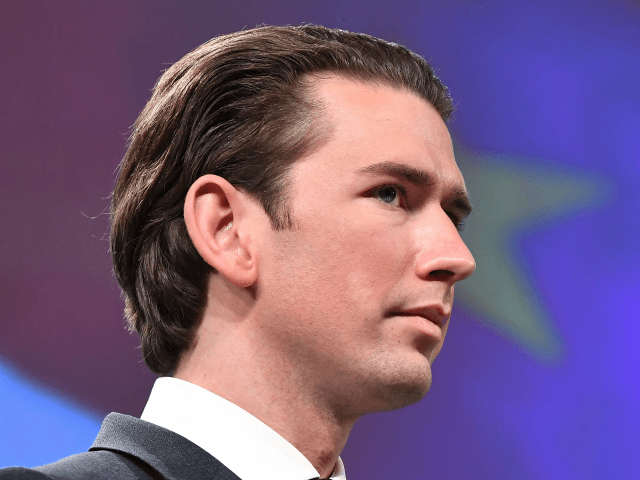 Kurz has also been a major European figure pushing for migration reforms and joined the United States, Hungary, and others in rejecting the UN global migrant pact in October.